I’m so excited about this announcement, guys. We are hiring! My lovely, amazing, unicorn of an assistant, Kensi, is having a baby boy in June, and as we work on her maternity leave plan, I know that there will be a few months that I’ll need some extra help. 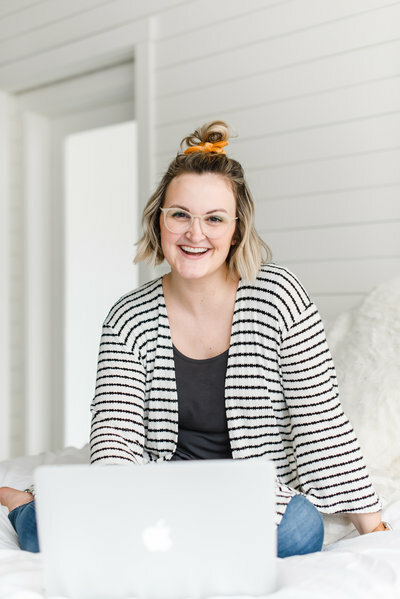 I’m looking for an organized, energetic, self-starter to work a couple days per week to get us through busy season and allow Kensi to have an amazing maternity leave, without having to worry about work. This position is most likely temporary, so someone who specifically would like a part time job during the summer months is ideal. If you’d like to join a small but mighty team, and learn more about the photography or wedding industries–or if you just eat-sleep-breathe spreadsheets and organization and want to get paid for doing what you love–you can apply here. Read on to find out what I’m looking for! A commitment to working 5-10 hours per week with a somewhat flexible schedule, with the potential for more during busy weeks (i.e. weeks with weddings, large shoots, etc.). An ability to work from home, as well as flexibility to work from my studio or home office in Sioux Falls. A passion for organizing and simplifying. A great work ethic and desire to learn. A responsible and independent problem-solver. A familiarity with Social Media platforms (Facebook, Instagram, Pinterest). An outgoing person, comfortable interacting with others and serving clients well. Other jobs and tasks as needed. A working knowledge of Lightroom, InDesign and Photoshop. A working knowledge of blog platforms, specifically WordPress. A working knowledge of social media management platforms, like TailWind, SmarterQueue and Plann. A working knowledge of email platforms, specifically MailerLite (similar to MailChimp). A love of weddings, photography, and kids. Organize commercial photography shoots (call times, models, product, etc. ), and assist. Create & package client gifts and orders. Send client invoices and contracts. Upload and organize client galleries. Assist on shoots/wedding days (if available). If this sounds like a bit of a catch-all type position, it’s because IT IS! Our days are never the same, and while there are some things that I’ll need my assistant to do on a weekly basis, tasks will likely change each week depending on what’s on the calendar. Advanced social media management, and how I use social media to grow my business. How I cultivate client relationships and serve my clients to generate referrals. Wedding day prep and wedding day workflow. Commercial shoot prep and commercial shoot workflow. Systems, workflows and efficiencies that make small businesses run WELL. NOTE: This is a non-shooting position, but if interested, I’m happy to bring you along on wedding days as a third (unpaid) photographer for training and experience. Any assisting during shoots or weddings will be paid. If this sounds like something you’d be interested in, I’d LOVE to talk more. Please fill out this application to be considered for the position. We’d like to have the position filled by the end of May at the latest, and it will go through the end of July (at the earliest).